A great combination of home comfort, safety, cleanliness, accessibility of transport and budget prices. We welcome tourists, students, families with children, business - customers! Feel yourself at home :-). 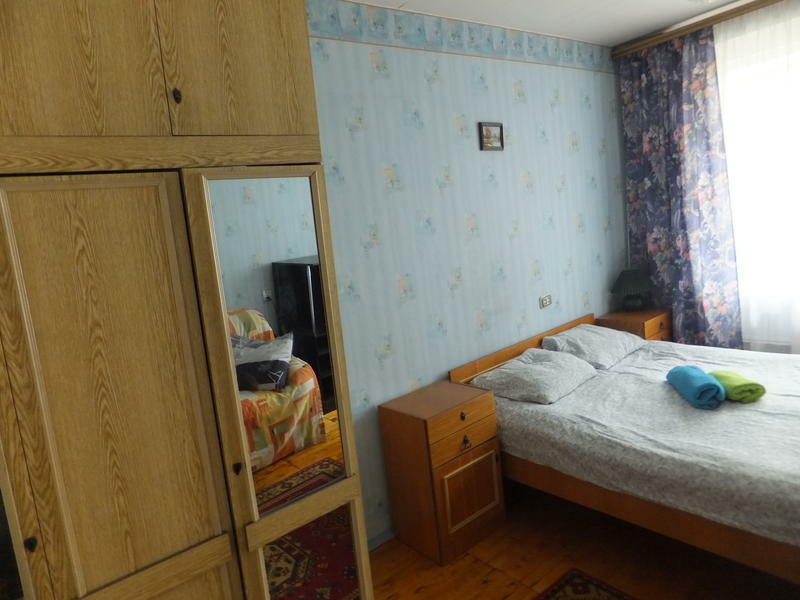 Only 2 rooms in a spacious, bright apartment, 50 square meters, with a convenient layout in the south of the center. Apartment has a kitchen with all necessary utensils, bath and toilet. The total used area of 33 m2. The bright room for single, double, triple and quadruple accommodation decorated in a classical style and are equipped with double sofa bed, single bunk beds, wardrobes. Perhaps extra beds for a charge. Room size is 14 m2. Balcony (4 m2 ) with a beautiful view. In summer, a good rest on the balcony. Rooms are decorated with carpets and paintings. Library to exchange books and tourist guides for sale. There is a communal kitchen with a refrigerator, microwave, stove, numerous cooking facilities and dining area. The bright bathroom has a large bathtub and a washing machine. 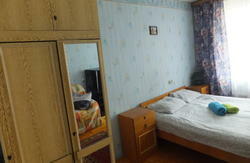 The hostel is located at the crossroads of the main streets of Belinsky - Schorsa in the big building. Near the house all means of public transport (bus, trolley, tram, taxi, subway), and the Southern Bus Terminal. Metro station ' Tchkalovskaya' is a 5-minute walk from the hostel, one metro stop from the center of Yekaterinburg. Trip on the subway from the hostel to the train station of Yekaterinburg is 10 minutes and by car to the international airport Koltsovo - 15 minutes. Nearby are the shopping and entertainment center , numerous banks, cafes, snack bars and food stores, the central park of Yekaterinburg. A five-minute drive from the largest water park in the Urals. From the Southern Bus Terminal, you can take a bus to the natural parks and historic towns of the Urals. At your arrival you will prepare espersso coffee or tea. We are pleased to show you Yekaterinburg and Urals and will tell about it, we'll go with you on the border of Europe and Asia, our natural parks and historic towns in the Urals. Shuttle service on request. Any information could be made directly through our sales office or using the reservation systems, for further information and reservation please do not hesitate to contact us at any time. We convince you to read all our subsequent information on Terms and Conditions on this website. Transfer: order by email. From the train station - 700 rubles, from the airport - 800 rubles. Payment: is due upon arrival at the hostel. Register your arrival and departure time limited to 12 to 14 hours (Ekaterinburg). If you arrive before 12:00 or after 14 hours, please inform the exact time of arrival at the hostel (Yekaterinburg time), so we can meet you. You can get to our hostel at Tchaikovsky street, 75. You can get from the railway station to the metro station 'Chkalovskaya'. 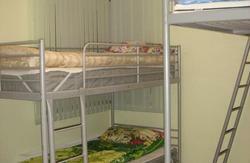 The hostel is located 600 meters from the metro station 'Chkalovskaya'. Go to the crossroad Shchorsa-Belinskogo.You will see a building 'Ural bank reconstruction and Development'. We are in the building behind the bank (house of the panels in the 10 floors). Turn right over the bank and walk 60 m. Look for entrance with the inscription 'Europe Asia'. At the door, press the intercom button 216. Important: The hostel is located at the crossroad of Shchorsa-Belinskogo. Crossroads is easy to find on any map. Our hostel is close to a line, leading to international Airport Koltsovo. Our main travel guide office is located at Engels Street, Building 38. Trolleybus number 18, tram number 21, and bus number 1 goes directly from the train station to the stop 'House of Cinema.' From the stop (Crossroad Lunacharsky and Malyshev, you have until the crossroad Lunacharsky and Engels, and turn left. Engels House 38 - 50 meters of a junction. Sure to inform your arrival time, so that we can meet you. If you want to arrive at the main travel guide office, please let us know and specify the time. Transfers: Order on our e-mail.